#FridayFact: The Workplace Hates Exclamation Points!!! 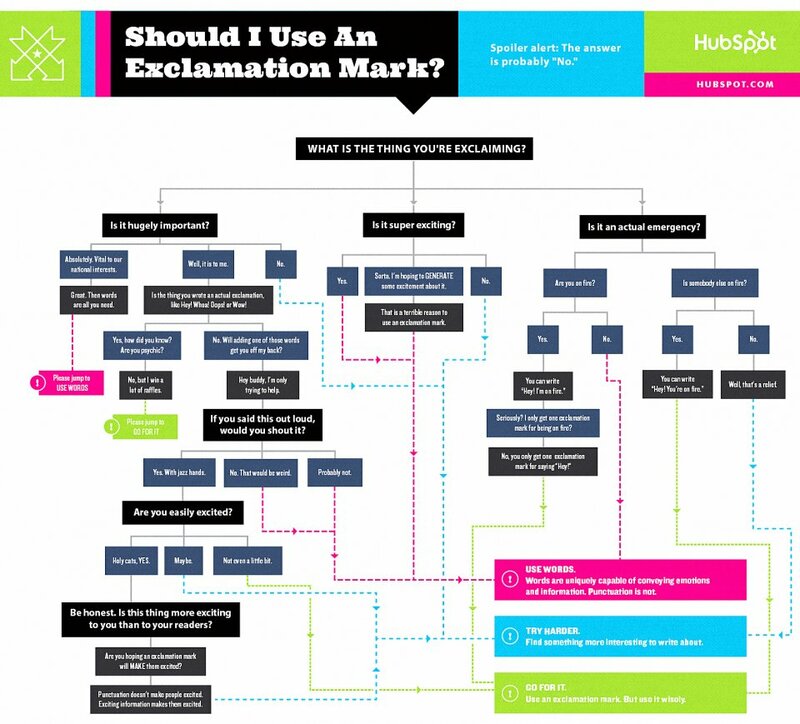 The article ends with the flowchart shown below, which suggests that most of the time, you should not use exclamation points. It’s a fun flowchart, so be sure to read it.